Let us help locate those hard to find dryer parts that you have been searching for. We know how difficult it can be to live with a malfunctioning or deteriorating dryer in Norman OK, or any place for that matter. It can end up costing a lot more money in the future to let it go without proper assessment or attention. Norman dryer repair is available to you from the top company in the area. Contact us today to book your appointment for dryer repair, dryer parts, or maintenance services. We are confident that your dryer will thank you for giving it a checkup. Remember to book the professionals in dryer repair in Norman OK; we know that we won’t let you down. There are a number of things that people aren’t really educated about how to best dry. First, any denim material, sweaters, or knitted clothing should be dried inside out to stop fading. Tennis balls in any load containing a down duvet or feather pillows is a good idea for the last half hour of the cycle. This helps to keep proper air circulation within the dryer. 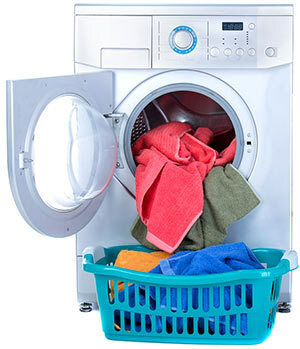 Also, a load that sat after drying can be rejuvenated by putting in a wet towel and running a short dry cycle.